Discounts applied to the minority interest in a business – technically known as the discounts for marketability and lack of control — invariably reduce the value of the outgoing shareholder’s interest significantly. The marketability discount is a reduction in the value of a shareholder’s interest based on the fact that a purchaser pays less for a privately held company. The discount for lack of control, also known as the minority discount, reflects a reduction in value based on the fact that the minority interest does not exercise control over the operations of the business and, again, is worth less to a buyer. The concept underlying valuation of a business is fairly simple in principle: First, determine the value of the enterprise, then divide the value in portions according to the interests of the shareholders. Then, maybe, reduce the value of the interest being purchased by an applicable marketability discount or minority discount. While the experts will apply professional valuation standards, courts will still have the final say regarding which types of discounts are applied or not and for what reasons. The valuation landscape is less than uncluttered – but courts will not prevent or allow a discount if doing so would encourage bad behavior. Business valuation in cases involving a shareholder dispute applies a “fair value” standard. A shareholder dispute may come through a dissenting shareholder action, pursuant to N.J.S.A. 14:11-3, or an oppressed shareholder action, pursuant to N.J.S.A. 14A:12-7(1)(c). Fair value is used when selling a business interest is compelled, as it is in a buyout or dissolution. Instead of determining value under market conditions between a willing buyer and seller, courts determine the fair price for a shareholder’s interest in a closely held business in light of the facts of the case. Two discounts are typically considered in the fair value analysis – marketability (discount for the limited pool of potential buyers) and minority (discount for the interest not having majority control in the business). 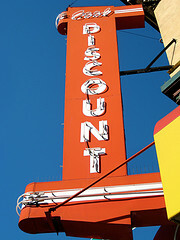 In New Jersey, discounts are deemed appropriate on a case-by-case basis specific to the set of facts before the court. The companion cases of Balsamides v. Protameen Chemicals, 160 N.J. 352 (1999), and Lawson Mardon Wheaton v. Smith, 160 N.J. 383 (1999) demonstrate this concept in two different contexts. In Balsamides, the New Jersey Supreme Court sought to determine whether the propriety of a marketability discount. This case was brought under the oppressed shareholder statute, in which the oppressed shareholder has the right to buyout the oppressing shareholder’s interest. In this case, the Court found that a marketability discount was appropriate. As the oppressed shareholder buys the interest of the shareholder who oppressed him in the first place, allowing a full realization of the interest to the oppressing shareholder would reward this bad behavior. The Supreme Court in Lawson found the opposite. In this dissenting shareholders case, the answer was a “maybe” at best. While in this particular case it found that applying marketability and minority discounts in a fair value determination was inequitable, the Court recognized that a blanket rule may be inappropriate. Imposing minority and marketability discounts as a matter of course is likely to encourage oppressive behavior and give majority shareholders a windfall – preventing them altogether is equally likely to encourage a minority shareholder to hold out for a higher buyout price. Whether a court imposes a marketability or minority discount or not is not the real issue. The heart of that matter lies in if the use of that discount will encourage oppressive behavior despite whether the shareholder is in the majority or minority. While leaving the discount issue in the typical “it depends” category does not help, blanket rules may very well lead to inequitable results. If you have any questions about this particular blog post please do not hesitate to contact me or another member of McDaniel Law, or fill out this form and we will be glad to contact you.